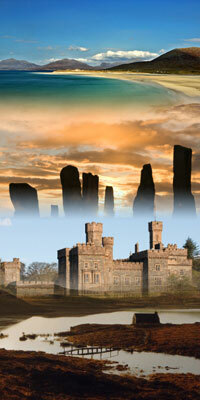 But 'n Ben Holiday Homes | Self Catering Cottage Isle of Lewis. Stornoway and the Isle of Lewis offers some of the most relaxing or energetic holidays that you could wish for. Below are listed a number of activites available through out the islands and tourist attractions that many people come here for. Many of these attractions can be visited through our Links page for further Information. If there is a something not listed, at the time of booking feel free to ask us and we will do everything we can to help. Day Trips to Ullapool (if that is where you didn't arrive from). There are many different restaurants situated in and around Stornoway. From Traditional Fayre to the more exotic. Chinese, Indian, Bangladeshi and Thai. Craft shops are in abundance throughout the Islands offering the finest in Hebridean Craftsmanship. Let us point you in the right direction.